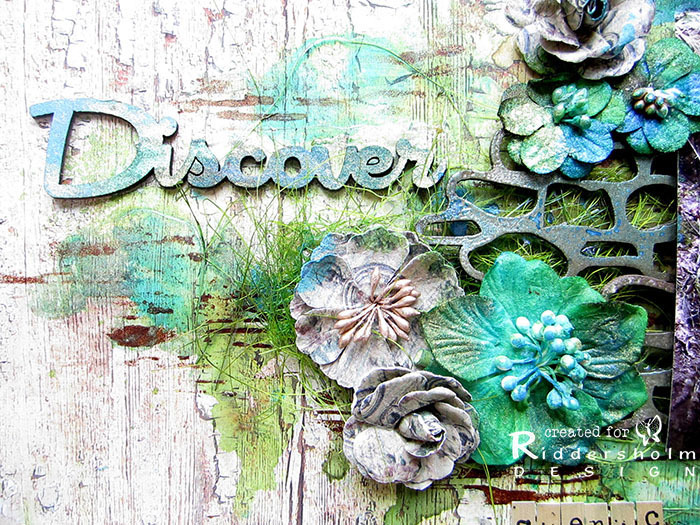 I’m here with a new layout for Riddersholm Design using their Vintage Venture collection. I used the Vintage Venture Blossoms paper for the background to which I added lots of sprays and stencils to mimic the nature in the background. 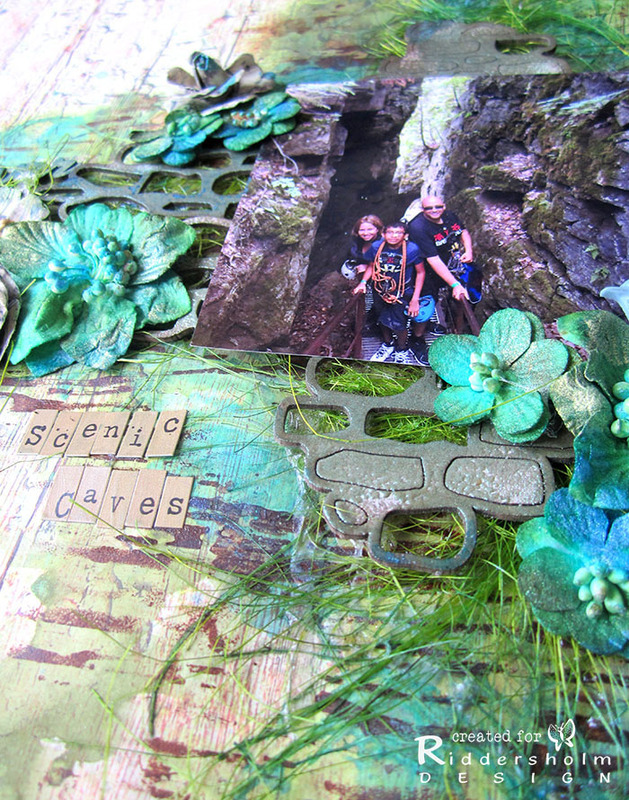 I also added Blue Fern Studios Rock wall bits to make people feel as if they are right there inside the caves with us. 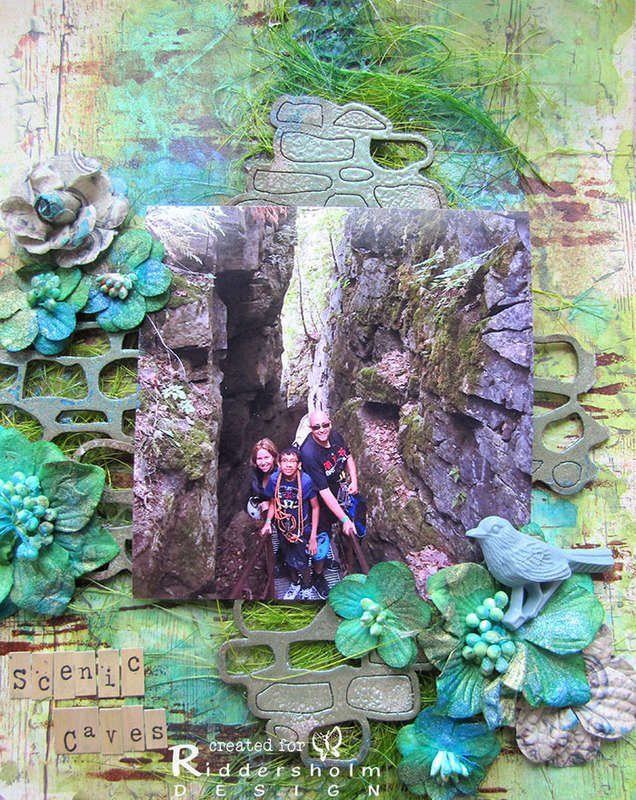 Finally I added green Sizal thread that a friend sent me from Poland to mimic the moss on the rocks. The background was inked with several sprays and dabbers from Lindy’s Stamp Gang. They came in a blue and green set. I used some Riddersholm Ink it cherry blossoms and roses which were also sprayed and Dabbed with Lindy’s Stamp Gang matching colors above. Beautiful layout! Love the texture! Amazing color combo! Love mixed shades of blue and green. Thank You for playing along with us at Lindy's Stamp Gang Color Challenge! Oh my…. Awesome layout !! Breathtaking color combo and fabulous way you added embellishment. Love your result ! You are so talented. It always makes my day a bit better when I can enjoy a new project from you. Thank you for sharing. Wow! 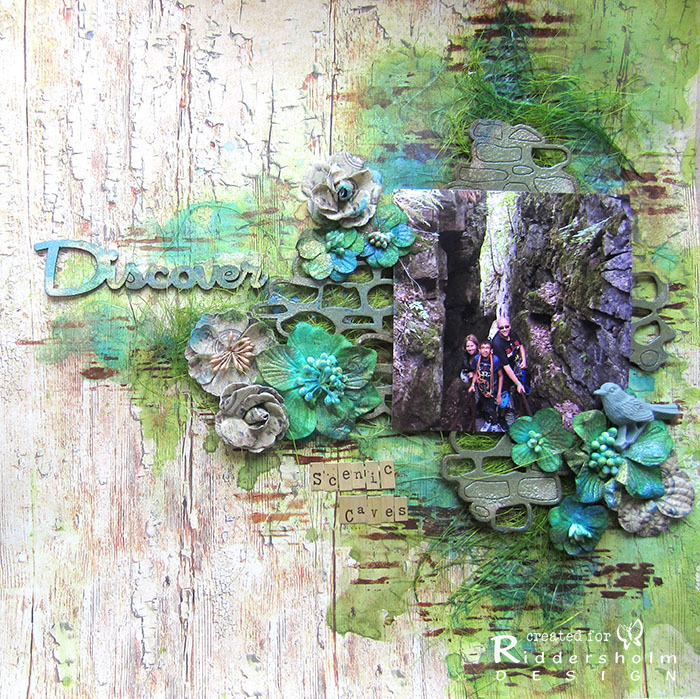 Gorgeous project! Thanks for playing along with Lindy's Stamp Gang!